Designed4Doing: Free thing to do in london with your coat on or off. Take a pack lunch and stock up on tissues and off you go! Free thing to do in london with your coat on or off. Take a pack lunch and stock up on tissues and off you go! Inexpensive, Free days out and Free activities - sometimes we just need a freebie! A family could quite easily spend over £100 for a day out in London. This , sadly, puts many off going out, as the thought of coming home £100 poorer can be very off putting. The fantastic news is that you do not have to spend a fortune in order to to go out. There are many free places to visit in London. 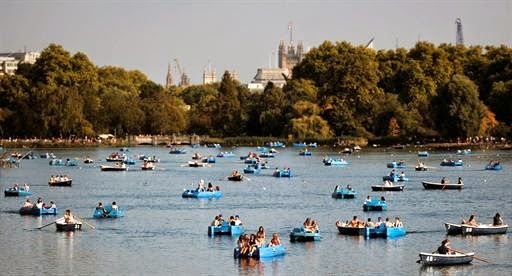 London offers a plethora of totally free days out and there is something for everyone. There are free museums, activities, events, attractions and entertainment you just need to know where to go. This page will give you a list of free activities for a great day or half day out. This is not just a list of conventional places, but also gives you ideas of how to put your own activity together and enjoy London at the same time. The Queen Elizabeth Olympic Park is a fantastic day out for all ages.There is lots to explore at the park, as well as many planned activities. This is also a great cycle route. Fancy a game of football, a go on the swings or a cup of coffee with friends, Kennington Park’s the place to be. The park includes The Mall and Horse Guards Parade and is at the heart of ceremonial London, providing the setting for pageants including the annual Trooping the Colours. 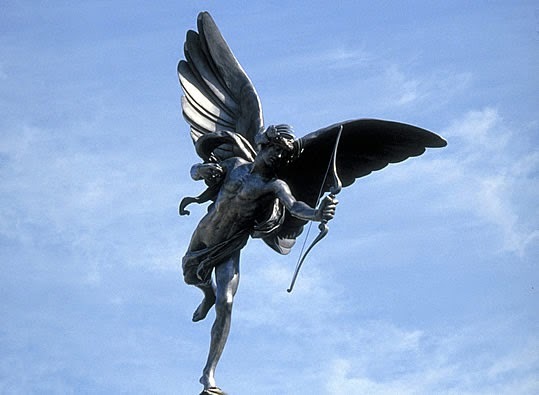 From the wonderful rose gardens, to the variety of birds and trees, to watching plays at the open air theatre and admiring the famous view of the city from Primrose Hill there is plenty to do and see here. 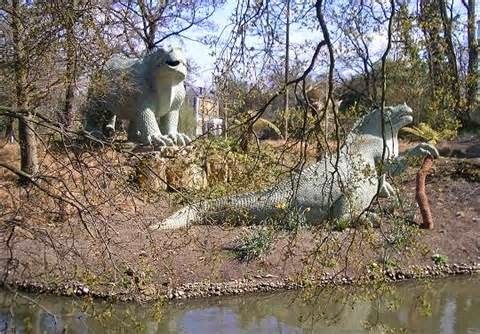 As well as the home of some life sized dinosaurs, Crystal Palace park is also home to the national sports centre, a children's farm, a playground, a maze, an outdoor concert stage and plenty of green space to run about in. This is an English countryside in London. Surrounded by meadows, trees and the soft sounds of birdsong and running water, the park is a tranquil haven. Lee Valley Regional Park is fantastic for outdoor lovers with great walking routes, white water rafting, horse riding, fishing, bird watching, golf, climbing, athletics, nature reserves, camp sites and wonderful miles of wide open spaces to explore. Fancy a bit of cycling? Lee Valley had wonderful cycle paths. Horse Guards Parade in London is a parade ground near Whitehall used for royal parades and ceremonies. Every morning the ceremony of Changing of the Guard takes place at Horse Guards Parade (11:00 Monday - Saturday, 10:00 Sunday). FREE- Princess Diana Memorial Fountain. The Diana, Princess of Wales Memorial Fountain is a memorial in London dedicated toDiana, Princess of Wales, who died in a car crash in 1997. Riding School (Deen City Farm) The riding school offers around twelve ponies and horses and a range of riding activities. FREE- Mudchute Park and Farm is a large urban park and farm just south of Canary Wharf on the Isle of Dogs in the London Borough of Tower Hamlets . The Abbey Road zebra crossing is famous worldwide as the spot captured on The Beatles Abbey Road album cover. In April 1969, the group came to Abbey Road recording studios to make their final album. The studio and famous zebra crossing are regarded as British music industry icons to this day. 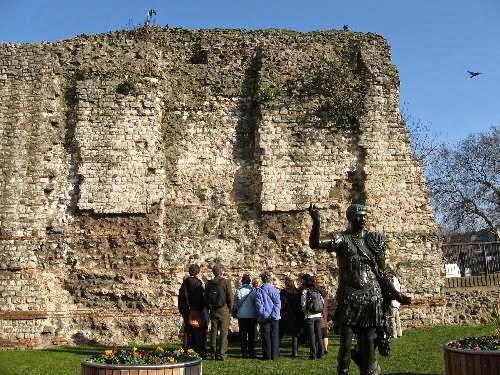 London Wall was the defensive wall first built by the Romans around Londinium, their strategically important port town on the River Thames. Set immediately north of the Tower of London, right in the heart of Tower Hill, stands one of the most substantial and impressive surviving sections of the London Wall. Trafalgar Square is home to Nelson's Column, iconic stone lions, the famous Fourth Plinth .It's a must-see destination for visitors to London. You'll often find cultural events, performances, shows and other special activities going on in the square by the fountains. At Christmas you'll find the biggest Christmas tree in London, an annual gift from the city of Oslo. A timber-framed hunting grandstand built in 1543 for Henry VIII, Queen Elizabeth's Hunting Lodge stands in a beautiful part of Epping Forest. Explore the Tudor kitchen, see the stairs which legend says Queen Elizabeth rode her horse up. Dressing up clothes, a quiz trail and brass rubbings are available for children. The View visitors centre is next-door.